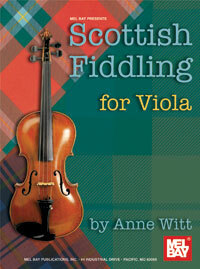 The forty-five tunes in this collection represent the vast repertoire of traditional Scottish fiddle music dating back to the 1700s.There is a long history of music shared between fiddle, bagpipe and song. Included are laments, airs, marches, strathspeys, reels and jigs. The music has been edited and arranged for viola along with guitar chords if desired for accompaniment. The tunes are presented in sets of three or four for solo performance.